At EGX Rezzed last weekend, GamesIndustry.biz hosted a session with Rare executive producer Joe Neate about Sea of Thieves. The talk coincided with the game's upcoming Anniversary Update, which will include the game's fifth and sixth significant expansions. Neate teased a number of features, discussed things still to come, and revealed plans for a new novel, comic and soundtrack. Yet there was one moment during the session when he stopped teasing game updates to discuss just how challenging the last year has been for a team that has never worked on a live service game before. "I don't want to be here in a year's time doing another anniversary update with all this stuff coming into this together at once," Neate admitted to the audience. "It is our responsibility as a studio to balance sustainable working and how we deliver new content to people. So servicing our players and giving people new things to do on a regular basis, but taking into account that the last 16 months for us has been super hard work. We ran to launch, and the feedback was basically that the game is cool, but give us more stuff. So e have spent the last year doing that. "It's been hard work at times. I think it's good that we can have these conversations at the studio, and talk about it with our fans. We have every intent to keep growing and keep updating and keep building this game. The future strategy slides, which I've been taking some people at the studio through, not only talk about what we want to bring to players, but they also talk about how we do that in a sustainable way. And I like that that's part of our future strategy." "I don't want to be here in a year's time doing another update with all this stuff coming into this at once"
It's a brave statement for Neate to make, especially in an age where a mass of dissatisfied and overworked staff will invariably led to an article on Kotaku. But it's one that acknowledges the unexpected and challenging journey Sea of Thieves has been on since it launched. Early last year, Rare had a good idea that its game was going to be popular. The beta had been a success on streaming platforms and the buzz coming out of shows was positive. 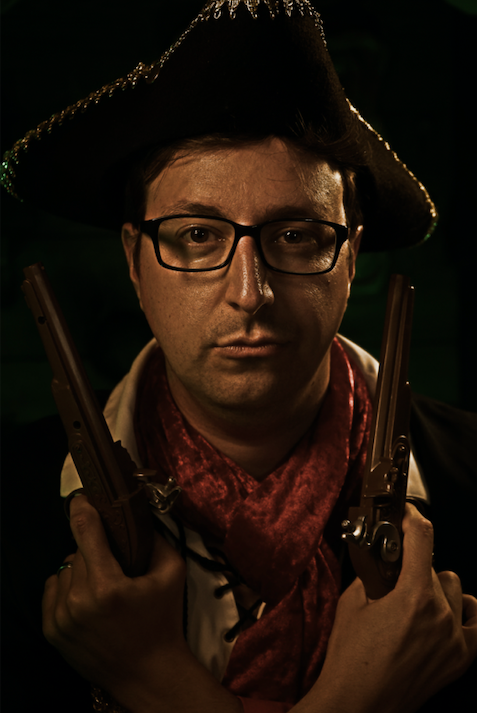 What it couldn't predict was the Game Pass element; Sea of Thieves was to become the first Microsoft first-party game to launch day-and-date in the Xbox subscription service. 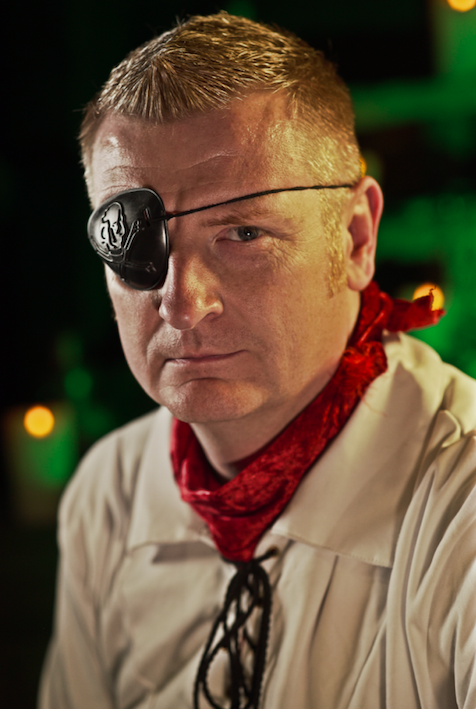 "When we launched Sea of Thieves, going out with all the success we had with the beta and the streaming, with record pre-orders, and then Game Pass... Quite honestly -- and it's a good problem to have -- but it's why we had a huge launch, and why that launch was a bit rocky," said Rare studio head Craig Duncan. "It added scale to us, which in some ways helps. But from a service and servers point-of-view, that's something you have to deal with." Game Pass may seem like a good thing for Sea of Thieves, and in many ways it is. Neate stated that half of Sea of Thieves' players have come in via the subscription service, and it certainly makes it more palatable for people to experience the game who may be wary about spending $60 upfront. "Hindsight is 20/20, but looking back the core game design supports Game Pass," says design director Mike Chapman. 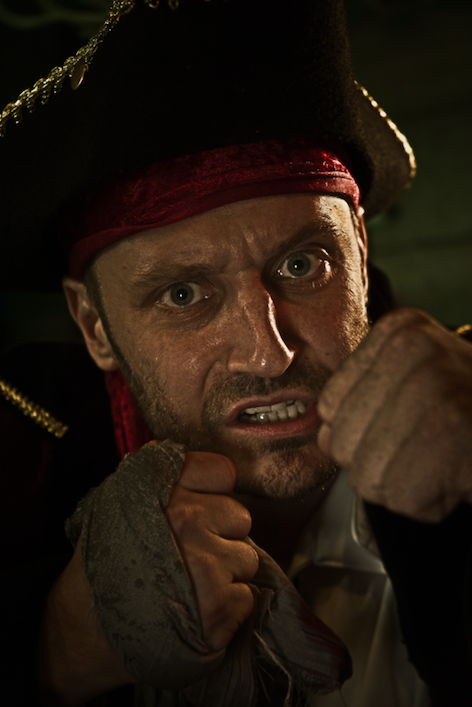 "The fact you can have a great Sea of Thieves session, shout about it to your friends, get them to come in because there's no barrier to entry. It's a great way to acquire players." That's true, but equally it's just as easy for people to leave the game. Particularly at the start, with consumers able to access the title with a free two-week Game Pass trial. With Game Pass, players can come in easily, but then Rare needs to convince them to renew that subscription. This was tricky at the start. Speaking as a fan of the game since its launch, Sea of Thieves was a decent experience 12 months ago. It looked great, with wonderful audio, and it contained a bunch of funny features, but there wasn't a great deal to do. After a few sessions, you'd experienced much of what the game had to offer. Even Duncan, when discussing people who had played the game for hundreds of hours at launch, joked that he wasn't, "sure what they were doing." Rare needed new content and quickly. It threw out its initial post-launch content plan, re-developed it and split the team into smaller groups. Each one working on a new expansion. "I am super proud of the team, because I know we ultimately did what we said we were going to do -- which was to launch a game, take feedback and evolve it," says Duncan. "But we always reserve the right to change what those plans are." The first expansion, The Hungering Deep, was released at the end of May and introduced new missions and a sea monster. The second, The Cursed Sails, arrived at the end of July and boasted even more content, including new AI-controlled skeleton ships. Another two months later saw the arrival of a dangerous new area to the map in the Forsaken Shores. "The last expansion was a bit of a reevaluation point. It brought in so many players"
By now Sea of Thieves was looking significantly busier, yet the initial impression still lingered. If you visit any forum (even today) and mention the game you'll inevitably get someone pop up with a witty comment along the lines of, "don't you mean Sea of No Content?" It highlighted the challenge Rare faced, but it made some headway with the fourth expansion, Shrouded Spoil. On paper, this was the lightest expansion of all (fog was the biggest new addition), but it made a significant impact. Rare made quests appear more frequently, loot drop more freely, and created a series of intense challenges designed to provoke conflict. This attracted the streamers back, and suddenly the title was picking up steam. "That was a bit of a reevaluation point," acknowledged Chapman. "That brought in so many players, and they had megalodons and roaming skeleton ships and all the forts active and fog rolling in. There's all these new things to go and do. He continued: "Sea of Thieves is about the journey, and not the destination. Every time you head out into the world, there is going to be unknown dangers and things that will pull you off track, whether that's a fort, or a skeleton ship, or a message in a bottle. Shrouded Spoils was just that point where all that clicked together. It had that staying power and it convinced people about what was special about Sea of Thieves, if they hadn't thought that before." By the time Sea of Thieves' next big expansion arrives it will have been five months since the last one (there have been smaller updates along the way). But this is actually two expansions rolled into one release. The first was announced before Christmas and is called The Arena. The Arena is a PVP competitive gaming mode. It's clearly a far more streamer-friendly game mode, but it wasn't what fans wanted. Indeed, what Sea of Thieves fans were asking for was new content for the core adventure game, not a separate mode entirely. "Even with our insiders, that was their initial reaction," Chapman says. "They've been playing it for four weeks or six weeks now, and although they weren't sure about it, they're now completely addicted. With so many things with Sea of Thieves, you take it at face value, but when you play it, that's when you realise what's special and what's different." Duncan continued: "I understand why people get like that, because they don't have all the inside knowledge of what our plans are. So people jump to route one, which is that they don't like competitive games. But with us we're always trying to put our own spin on it. So what is a competitive game in Sea of Thieves? There's no point in us making a competitive game that is the same as another. So for us it's about how we do competition in a Sea of Thieves way, in a Rare way, that feels completely different to any other competitive multiplayer game. That was the challenge we set ourselves. Then it becomes how do we iterate and evolve that." We played The Arena at Rare last week and it's certainly entertaining. Players must race to islands to dig up treasure and cash it in, all while attacking opponents. The team with the most points at the end, wins. It's also ideal for those with less time on their hands. Whereas a session in the Adventure mode can take hours, each Arena fight lasts just 24 minutes. "If we add story, with a new competitive way to play... when we started talking to the PR guys about it, they suggested getting press back into the studio. It fast became like a re-launch"
Of course Rare was also working on a major update to the adventure mode. Tall Tales adds a whole host of features (harpoons, fishing, destructible masts), but most significantly an expansive narrative storyline. 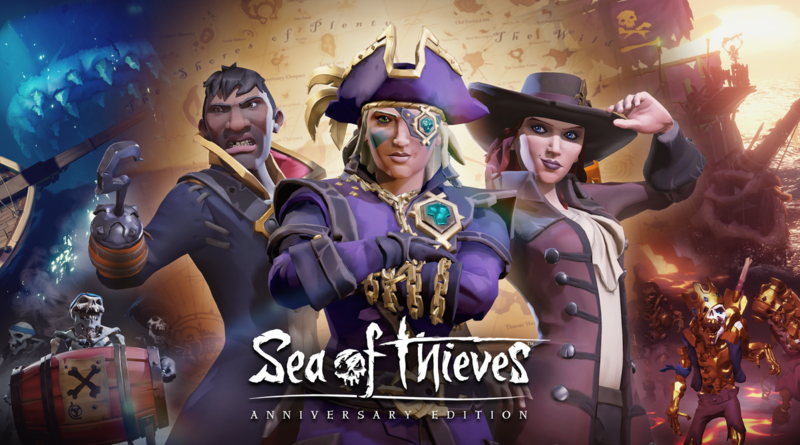 Together with Arena, Rare hopes that this update (due April 30) will become yet another major re-evaluation point for Sea of Thieves. "Our original plan was to release Tall Tales and The Arena independently of each other," Duncan tells us. "But as we continued on that path, it became a case of pulling it all together and making a big deal of the anniversary update. We want to make it a bit re-evaluation moment. If you can add story in a shared world, with a new competitive way to play, and talk about all that at the same time... when we started talking to the PR guys about it, they suggested getting press back into the studio... it fast became like a re-launch. "It was definitely a case of creating a moment where we've done so much that everyone is talking about Sea of Thieves." The game we played at Rare last week was almost unrecognisable to the title that came out just over a year ago. But it's been a challenge getting this far, and as Neate said at the start, what comes next will need to be more sustainable. There are new features to add, of course. Rare is still experimenting with in-game pets, which will mark the first time players can buy things in the game with real money. But moving forward, the team will be focused on iterating and evolving both Tall Tales and Arena. The time of major expansions every few months may be coming to an end. "Tall Tales and Arena, for us... we see both of them as on-going platforms, and we've built the capabilities of delivering these story-based quests into the world," Chapman explained. "We have this great end-to-end story in Shores of Gold [the first story in Tall Tales], but players should expect us to do more story content as we head into year two. And the same for Arena, as its complementary game mode, that's another platform for on-going content." Duncan concluded: "The more stuff you add, or the bigger things you add, the longer it is going to take. With the Tall Tales team, we have that system. We have a nine-story arc going live with the update, but if we were to do a three-story arc - that's not the plan, by the way - it'll obviously be quicker than if we did a 12-story arc. So I think we've played round with a lot of different things and learned a lot over the last year. But as Mike says, it's really about the Arena and Adventure as on-going platforms, and we'll figure out the right cadence and size of content updates."